6 different sides of playing with 15 different dynamic games for entertaining kids. Tap the Drum, Pull, Push & Hold the Knobs, Press the Button to Make a Call, Turn the Key, Press the Horn, Steer the Wheel, etc. 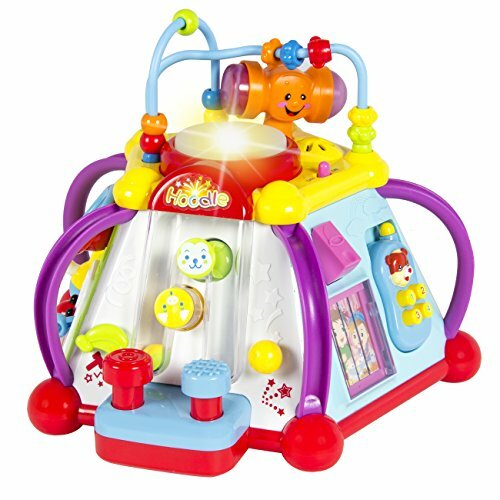 Includes (15) interactive features - Encourages development of early skill sets. Calm melodic music and fun sound effects. 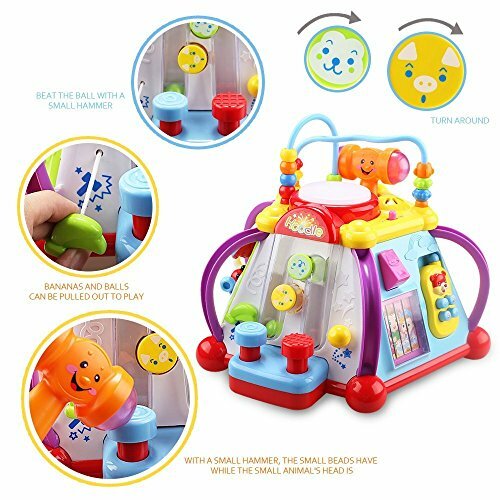 Great as Educational Toys for Kids Hand Eye Coordination. Help develop patience and enhance focus. 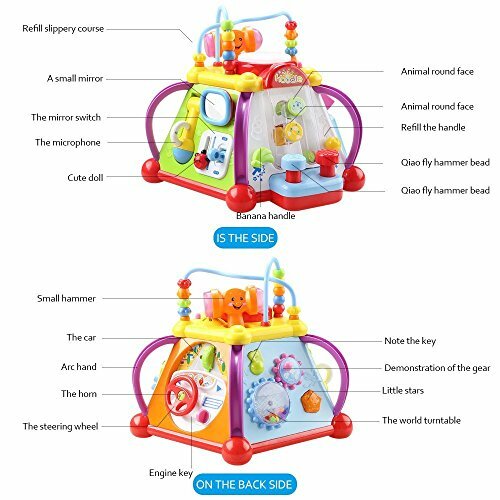 Perfect for developing cognitive capacities of babies and toddlers. Role playing & creative play encourages children’s curiosity & imagination. 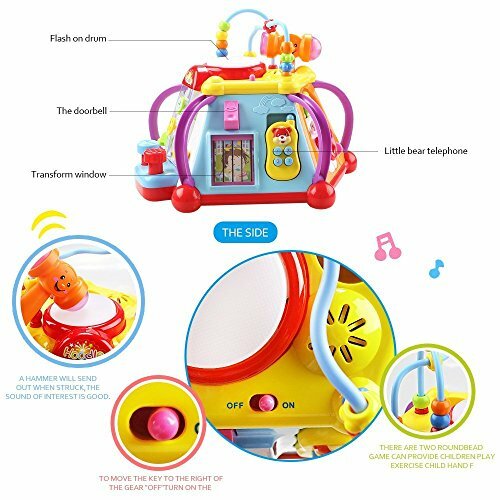 Music box enhances kids rhythm of music and meanwhile stimulates the development of audition. CHILD SAFE. 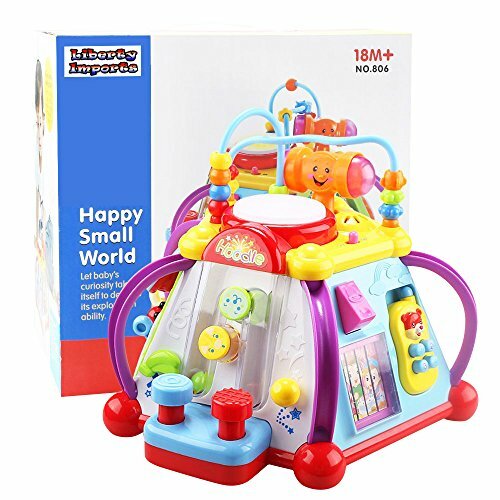 Colorful, musical cube is constructed of sturdy, 100% Non-Toxic ABS plastic which is BPA and Phthalate Free. User manual included. Appropriate for young children 18 months and older. Requires 3 x AA Batteries (not Included).